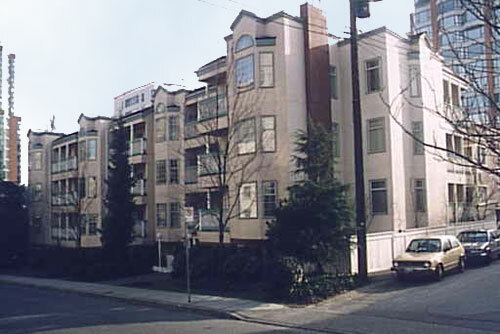 Building Highlights: ﻿﻿﻿﻿1010 BEACH AVE - WATERFRONT - Resort style living near the heart of the city. 14 35 square foot 2 bedrooms and 2 bathrooms suite facing South/East directly into False Creek, Granville Island and Marina. Great layout with house size rooms and large 25x8" terrace just steps from the water. Gourmet kitchen with centre island and eating area and a window looking out over the creek. Entertainment size living room and dining room with a gas fireplace. Large insuite laundry room with full size appliances and ample storage. There are two underground parking stalls (#53 & #54 on P2) and a separate storage locker (#29 - P200). Pamper yourself in the private 9000 square foot Health Club with squash courts, exercise room, glass bottom lap pool. Other notes: Meas approx, buyer to verify if important.